SEDS-USA and SEDS UCSD each see diversity as an integral and still-developing aspect of the space industry. By respecting race, nationality, religion, gender, gender identity, sexual orientation, physical ability and veteran status, we believe that SpaceVision attendees will gain a greater sense of community, not to mention a more thorough appreciation for the industry. Harassment of any kind is taken very seriously and will be addressed swiftly and in accordance with federal, state, and local laws. If you have concerns about the conference's accessibility or inclusivity, please contact us directly.  By registering and attending, you agree that SEDS-USA and/or SEDS UCSD can take pictures of you, to be used for conference promotion, public relations, and other inward- and outward-facing activities. We aren't going to sell them. For your safety, please follow the instructions of SEDS-USA and local SpaceVision staff (badges will be visible). Also follow instructions of any venue staff, who will assist in compliance with fire code and other safety regulations. Have fun, but not at the expense of your or others' quality conference experience. If you feel unsafe for any reason, please inform any SEDS-USA or local SpaceVision staff. Questions, concerns, or just curious?